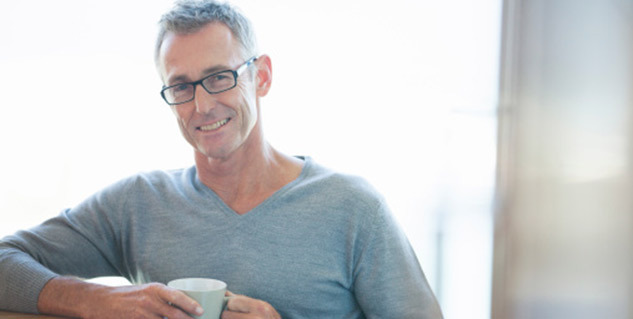 Apart from an anti-ageing diet, men above fifty need to follow certain rules. Men need to make changes in their menu for better health. Dietary changes with age can help men lead a better and a healthy life. 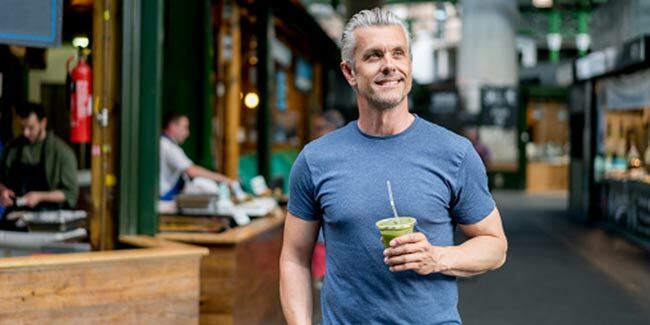 Apart from an anti-ageing diet, men above fifty need to follow certain rules and make changes in their menu for better health. Dietary changes with age can help men lead a better and a healthy life. The physical body changes as we age and needs to be taken care of accordingly as the metabolism rate lowers down and digestion is not as effective. Make the below easy changes in your food habits and live a healthy life. yes, greens are not only good for growing kids but for growing adults too. Do not only restrict yourself to greens but put other colorful vegetables on your menu. They are packed with antioxidants and do a lot of good for the body. Green colored vegetables are good for bone health and hair growth. Try spinach, cabbage, beans and colorful vegetables like colored bell peppers, pumpkin and carrots. fruits are a rich source of fiber and antioxidants, include them in your breakfast to get maximum benefit. The skin on fruits like apples and pears are rich in vitamins too, so keep the peels on to get more fiber and vitamins. Apples, oranges and different colored berries pack lot of good health. Avoid refined and processed food instead opt for “whole grains” in bread, brown rice and a mix of various grains in your dough. Fiber helps with bowel movement and can lower cholesterol and blood sugar levels. If you are planning a new routine of food habits, go slow with the change as sudden increased intake of fiber can make the stomach upset. Your bones need the calcium to be healthy and strong. As men age, osteoporosis is a danger too which can leave you with brittle bones with a tendency to fracture easily and heal late. Have moderate amount of milk, cheese, yogurt and cottage cheese in your diet. If you are lactose intolerant then opt for soy milk. Lean meat, fish, eggs and nuts are all good sources of proteins. Research shows that fish is good for the heart as it packs in omega – 3 fats. Nuts are rich in vitamin E and good fats making them a good choice for vegetarians. Moderation is the golden rule for good health and one does not have to do away with fat. Moderate amount of fat is needed for the body to function properly. Use olive oil as it is heart friendly oil but do not overheat it while cooking. Use cooking techniques like roasting and steaming as lesser oil is needed and nutrition is retained. If you are suffering from high blood pressure you need to be cautious about your salt intake. Do not stop taking salt altogether as the body need reasonable amount of salt for proper functioning. You can accentuate the food’s taste by using various herbs and spices.